In an attempt to understand patterns of work at KSA Architects, we examine their drawings to find nuances of a process that permeates between sketchbooks and computers – a process of structuring an argument through drawing – drawing that represents design thinking. 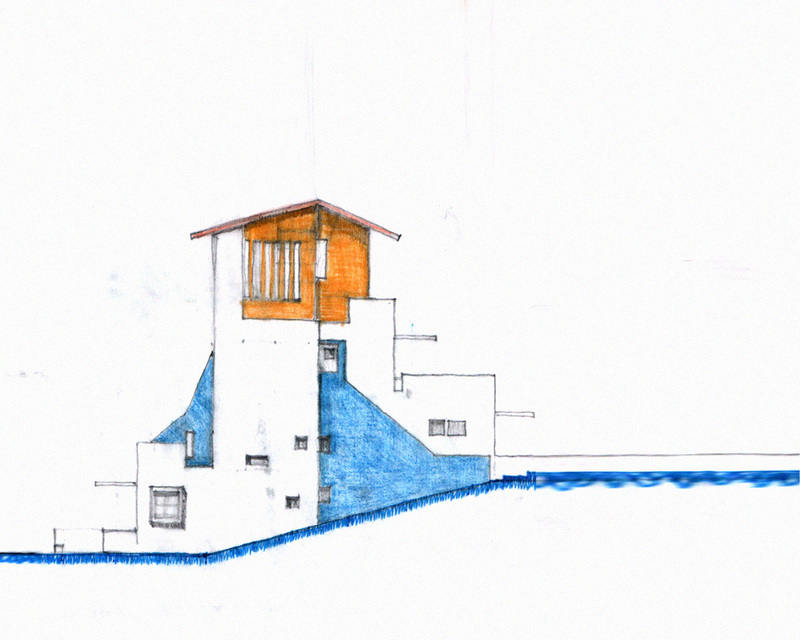 Sketch for the Shergadh House. Images and Drawings: Courtesy Nemish Shah; ©KSA Architects. 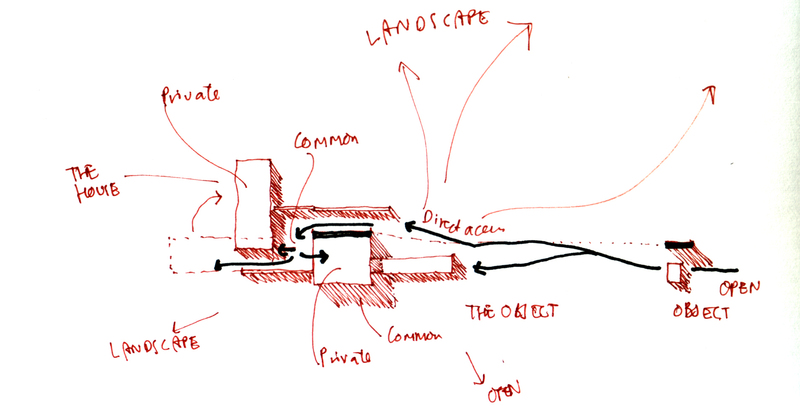 Drawing represents a personal process of an architect. It is one of the fundamental tools of the tool-kit the architect uses to negotiate ideas with the world he interacts with. The work of Nemish Shah and Kumarpal Kothari’s practice, KSA architects is intrinsically connected to sketching. The intentional absence of a style makes reading of these drawings versatile and eclectic. 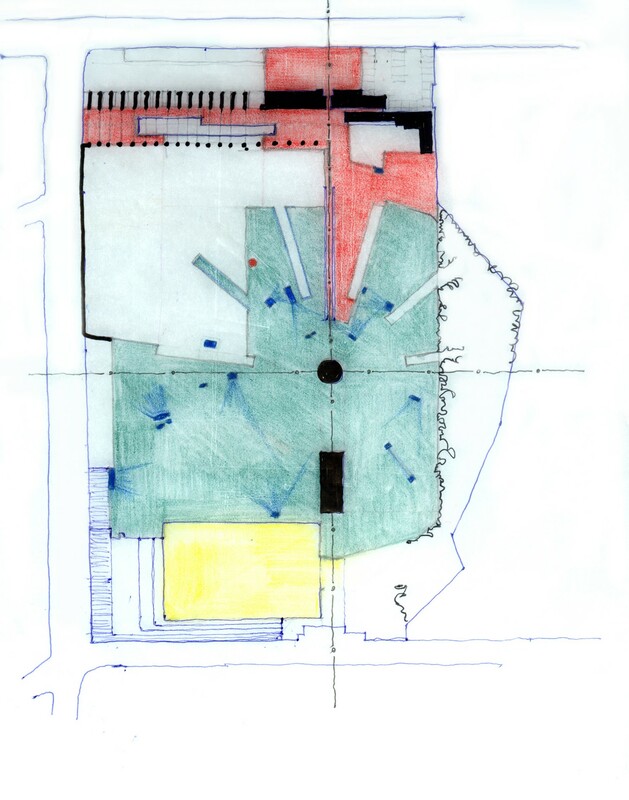 Drawings from the Proposal for Freedom Park. 01 Drawings from the Proposal for Freedom Park. In absence of a particular method or style, the drawings of KSA take an organic route meandering on the project at hand. Thin pen lines, thick pencil lines, range of colours and mediums have their role as the thought on the project develops. The process of design behaves as a pendulum – moving back and forth, gaining momentum as it progresses as it evolves with every swing. The idea of drawing also follows a similar but rather erratic and unpredictable path intersecting with the process of project development at crucial points. Colour is used frequently to highlight views and ideas, to mark directions, to indicate mass and void, and at times to designate key ideas visually. This coalition of various mediums finds an appropriate solution for each idea in its essence. Though the drawings are particular to the idea and the project, a continuous reading of them reveals Nemish’s perspectives and positions as an architect. You can see them in a narrative of their own – sometimes objective and sometimes abstract. As every thought builds itself, the drawings of KSA cannot be seen in isolation to other parallel mediums of exploration they frequently use – CAD, models and visualisations. In this case, the drawing becomes an investigation into the idea – a test of the argument. The drawings of KSA reflect this non-linear process – a system that has its own independent path. This path is seldom straight and it curves in and around many arguments and dialogues that the firm builds in the way of making good architecture. Rowing Channel: Officers’ Institute Plan. Detail Drawing: Drawing: Army Rowing Node. Process Drawing: Detail Drawing: Drawing: Army Rowing Node. Nemish Shah talks about the patterns of work at KSA and the contribution of drawing to the process of design while outlining the many dimensions where drawing by hand helps in articulating an idea in conversation with Ruturaj Parikh. RP: Drawing by hand is a significant part of your work at KSA. How did this process develop? What influenced you to work in this pattern? NS: If I think about it, it seems it was a very natural process. When I graduated in 1994, computers were just starting to enter our lives. So, my undergraduate education was almost completely through drawing by hand. I think that made a big difference. I remember the pages and pages of horizontal lines that we were made to draw in our first year of school, and all the nuances of drawing, sketching which became second nature to us. We used to work for the Louis Kahn trophy for NASA in School, and there was a bunch of us who used to draft the drawings. Those drawings were in A3 size, and each drawing, done completely in a 0.01 Rotring Pen would take more than a week to complete. The pride in finishing that drawing is what I remember most. The diligence, the effort, the rigour it required was fantastic – and I think it instilled something that is still there. Of course, after I did my Masters and now in our office, computers have taken over completely – especially the process of production. Which in a way seems like a good bargain because you see, coming from where I do, the thinking process remains with the hand while the production work happens on the computer. RP: How do you see the process of drawing crucial to your work? NS: The first ideas always come by hand. That is how I react to the site, to the program – that is how the argument for the project is created, within my head first and then on paper – through sketches, notes, doodles etc. And only then something can be transferred to the computer (which is now inevitable, I think). But even when the computer begins taking over, it is not the end of the sketch. Sketching, and drawing quickly, to visualise something is an inherent part of our process. It helps us, or rather me, to understand things clearly and quickly figure out the consequences of our choices. So, drawing by hand, as crucial it is at the beginning, is equally a part of the process throughout the life of a project. I was never very good at drawing in high school. I was interested in it and always enjoyed painting, but was never great at it. But I think architectural drawing is not like painting. I realized that sketching is more about expressing an idea or an intention, rather than making something beautiful. The sketch is not an end product in itself. That’s a bit simplistic, but I hope you understand what I am trying to say – the intention at the start of the sketch is to figure something out – and not to create a work of art. In the process, it may become one – but that’s a different thing. But I think fundamentally, drawing is crucial because it is personal. RP: You have a certain pattern of drawing – sketchbooks that reflect the process – from conceptual to the refined in a seemingly linear fashion. Can you tell us about this process? NS: In fact, it’s anything but Linear. And I am not sure there is a discernible pattern in the drawings – Like I said earlier, we go back to sketching all the time during the design process. It is always a back and forth and a give and take process. It is not seamless, nor is it continuous – in fact it is a very messy process – and sometimes there will be sketches which will have to computerised – or someone would have to decipher measurements, proportions or scale from a tiny sketch in the margins of a sketchbook, and sometimes the sketch itself gets lost, and there is a memory of that sketch which obviously no one can resurrect – and so the idea itself gets lost. The important thing is to record the evolution of a project. I have a very bad habit of writing, commenting, in the margins of the books I read – and sometimes when I read a book from a long time ago it is more interesting to read what I had written in those margins. Sketch books are like that – they are records but they are also messages, notes that we leave for ourselves. The completed drawings, even the presentation drawings of a project – they tell us what the project is about and they tell us about our intentions and how we tried to fulfill those – but the sketches tell us what else we had tried to do, and what were the ideas that did not come to fruition. The sketch, with all its notations and its scribbling and the asides that happen while sketching, tells us far more than just the intention or the idea. RP: How do you see the interface between hand-drawing, models and computer-generated images? How do your sketches reflect in the digital? NS: I am not sure if there is a clear interface between the two. 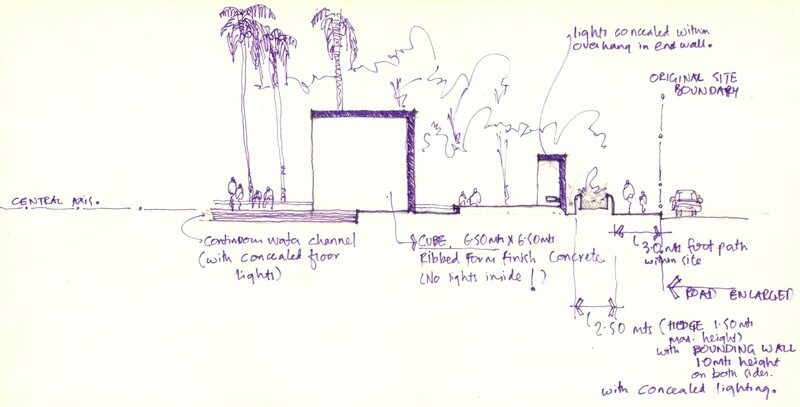 There is a synergy and sometimes we use the hand sketch as a more informal tool to explain things on the site, along or rather as a supplement to the more formal drafted drawing released as a part of the construction process. But I also think everyone does that. On the other hand, while we are working on the design of a project, the computer image serves, sometimes as a realisation of the hand sketch or, more often than not, it becomes a tool we use to overlay and trace upon, and sort of finalize the design. We quite frequently, and especially for difficult junctions, corners, details etc. use 3d-modelling software to generate base images (line drawings) which I would then paste into my sketchbook and trace over. This method has been a great help and has a lot of times allowed us to solve the problem of accuracy that persists within a lot of hand drawing. The computer line drawing becomes a neutral base for me to draw over and figure out the actual intentions behind the project. 01 SPA Competition Entry Sketches. 02 SPA Competition Entry Sketches. 03 SPA Competition Entry Sketches. 04 SPA Competition Entry Sketches. 05 SPA Competition Entry Sketches. 06 SPA Competition Entry Sketches. 07 SPA Competition Entry Sketches. RP: You teach regularly. Do you see young students adapt to the process of drawing? How do you see the idea of drawing in your students? NS: I think we have to make our students proficient in using the computer, and we do that. I mostly teach third year design studio – and our students do not use computers until the third year. So, this is mostly a transition year. It’s the first time that they are starting to use computers. But it’s also great because they still know how to think with their hands. Of course there are problems – but, in fact lately I have seen resurgence in the number of students who have started to use their sketchbooks as tools in the design process. Maybe this generation is so steeped in computers from their early age that the novelty, uniqueness of using their hand is catching on. Sketches from the Spiretech Competition. 01 Sketches for Spiretech Competition. 02 Sketches for Spiretech Competition. 03 Sketches for Spiretech Competition. 04 Sketches for Spiretech Competition. 05 Sketches for Spiretech Competition. 06 Sketches for Spiretech Competition. 07 Sketches for Spiretech Competition. RP: Can you tell us about your favourite tools and mediums of drawing. NS: I actually do not have a favourite medium at all. I can draw with anything and you can see that in the sketches. Sometimes a normal blue ball-point also works. I like writing with and Fountain Pen, but for drawing I use anything I can lay my hands on. RP: You sketch in multiple mediums – From tracing to paper and from pencil to ink. How do you choose them? What do they represent? NS: I seriously don’t think it is a matter of choice. Sometimes it is just what I have next to me. My table is full of all different kinds of pens, pencils, colours etc. and I just use whatever is right next to me. Some of the best sketching I have done is with a normal ball point pen. In fact, I have realized that the more conscious I become of the medium, the less I sketch. RP: You must have masters / mentors whose painting / drawing / graphic vision you hold in very high regard. Can you tell us about them? NS: I have this great book on Louis Kahn – it has every single sketch he drew for every single one of his projects. They are process drawings and drawings with notes and remarks to himself – and they carry instructions and are messy and slightly dirty – and I think that’s the kind of drawing I love. As a student, I used to copy the drawings of Frank Lloyd Wright and Antonio Sant’Elia – but I realized that they were finished drawings – renderings or images of buildings – and not ideas. 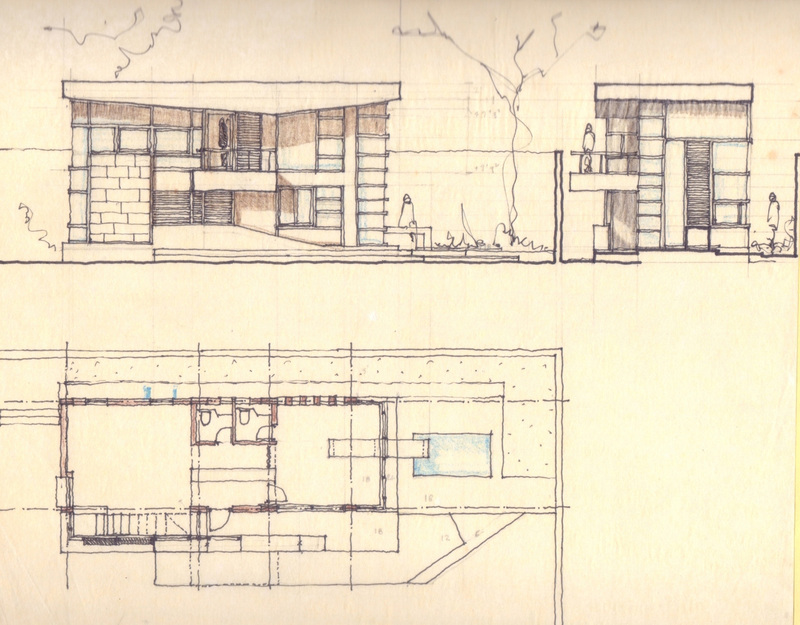 I think what I like about the Louis Kahn drawings is their incomplete nature. They are not meant to be shown to others. They are drawings for self. They are personal notes, reminders, part of a search and a journey to finding something. Sometimes they are not even profound – they are just simple notations which we would forget when we most need them – and the sketches are a collection of this information. NS: Inking, as a part of the drawing process has diminished – but I don’t mind that so much. But I would hate it if the use of the pencil as a medium reduces, but like I mentioned before, I see a lot of students going back to sketching. We do stress on the use of hand drawing in the first two years in school, but I think it is largely true that students, once they get to know and use computer software, and figure out how convenient and easy it is, stop drawing by hand – and I see in my office atleast that no one, except for me draws by hand. But I am not sure it affects the conceptual process so much. I think people are just wired differently. My partner, Kumar, he never draws by hand. He is far more comfortable drawing on the computer – and even when we are discussing and I am constantly sketching on paper, he will turn to his computer and make a quick drawing to show what he means, and most of the times is able to convey his ideas clearly through it. Definitely the conceptual process does not suffer in this case – but, yes, there is rationality, finality to the computer which the hand does not have. Sometimes in an office it is more important to be rational and complete than to be ambiguous and unsure. RP: Lastly, as a designer, how much significance do you attribute to the involvement of hand especially with the digital tools available to every studio in contemporary practice? NS: Like I said above, the hand makes it personal. The computer drawing is mostly universal, complete, rational and final. There is a difference between a hand drawn plan and a computer print-out of a plan. The hand drawn plan, (like the plans of Charles Correa or the more elaborate drawings of Geoffery Bawa) convey a sense of possibility unlike the computer drawn plan. There is an openness, and a sense of future in these drawings, whereas the computer drawing is a dead end. That’s I think to me the most crucial difference between the two. But even this is something that now computers are able to achieve. They can make drafted plans look sketchy – so the point is not to make them sketchy. That’s just for the looks. The point is that the hand drawn sketch is a work in progress. 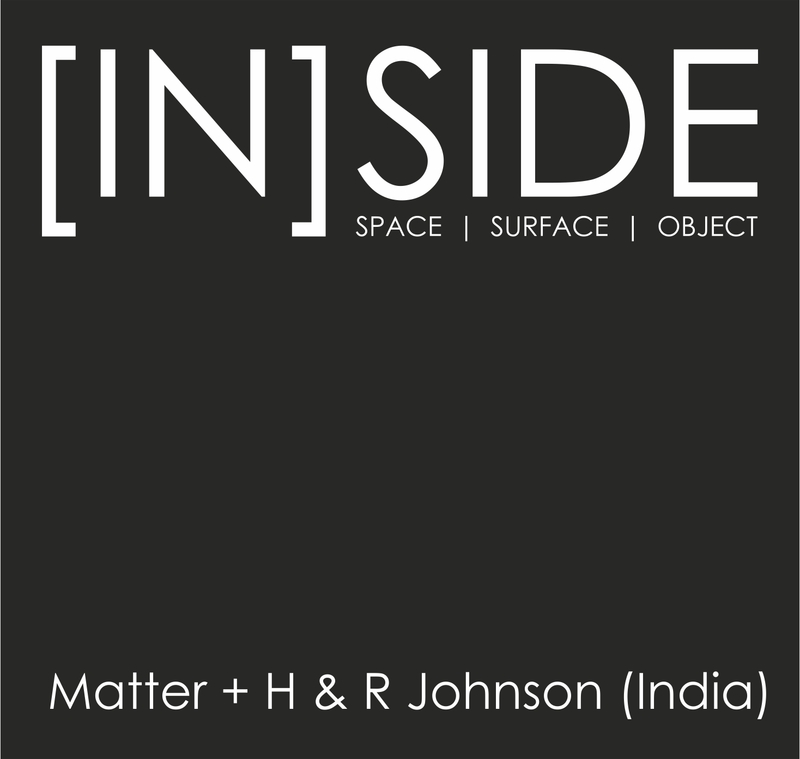 It is a part of the process – it is, for me the most immediate manner in which I understand and think of architecture. And I think somewhere it aligns with the way we think about architecture. So, as a practice, if I want to keep a record of my thought process, and if that is precious to me (and not just the finished building) then, the computer, digital process does not give me much, whereas the messy, non-linear process in which I use the sketch book along with the computer, makes me preserve the actual journey – and that I think is necessary. 01: Plan, Oswal Hospital, Lonawla. 04: Drawings of the Oswal Hospital, Lonawla. 05: Drawings of the Oswal Hospital, Lonawla. ‘Drawing to Find Out’ is a curated column on drawing in architecture and the techniques and ideas therein. GALLERIES 01 – Sketches for an Educational Institution in Jabalpur. 02 – House in Surat. 02 Sketches for Surat House. 03 Sketches for Surat House. 04 Sketches for Surat House.